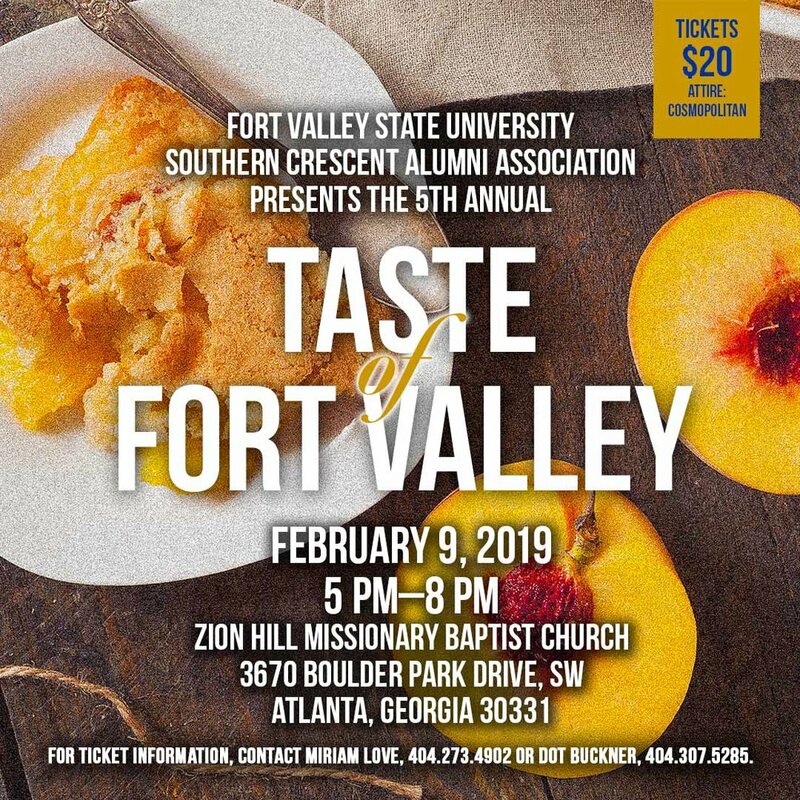 The Fort Valley State University National Alumni Association Southern Crescent Alumni Chapter presents the 5th Annual Taste of the Valley. The event will be February 9, 2019 at 5 PM to 8 PM at Zion Hill Missionary Baptist Church, 3670 Boulder Park Drive, SW, Atlanta, GA 30331. Tickets are $20 and the attire is cosmopolitan. The taste of Fort Valley is a food tasting event that will allow you to sample foods from multiple restaurants, caterers and speciality shops while listening to music from local musicians. The Taste of Fort Valley raises funds to support students attending Fort Valley State University by providing scholarships. Tickets can be purchased from any southern Crescent Alumni Chapter member. For more information about this event, contact Miriam Love 404.273.4902 or Dot Buckner 404.307.5285.